The mission of Learning Forward India (LFIN) shall be to support Learning Forward’s (LF) mission of building the capacity of leaders to establish and sustain highly effective professional learning. Learning Forward (LF) believes the term professional learning means a comprehensive, sustained and intensive approach to improving teachers’ and principals’ effectiveness in raising student achievement. SchoolEducation.Com was set up by EBD Educational Pvt Ltd with the mission to help provide better governance, good leadership and build a professional learning community at school. The philosophy of My Good School works for the personal and social development of an individual by offering an environment where experiential learning is made possible through activities beyond just study; this brings vital knowledge that would otherwise be theoretical and uncoordinated. School teachers have the most important role in delivering affordable quality education. Provide Systems, training and management support. Founded in 1969, Learning Forward (formerly NSDC) is a non-profit membership organization focused on promoting the research-based qualities that lead to productive, sustainable professional learning environments for educators. These classes are outlined in Learning Forward’s Standards for Professional Learning serve as a rubric or guide for policy-makers, administrators, and teachers looking to identify and evaluate the characteristics needed to build strong cultures of learning in schools. In addition to promoting these standards, Learning Forward hosts conferences, publishes articles, facilitates individual and group learning opportunities, and provides consulting services. Members of Learning Forward, whom usually include teachers and school administrators, are given access to publications, an online community (Learning Exchange) and discounted rates for some services, such as bookstore purchases. Four different membership options are available and cost between $69 and $299 for one year. Additional discounts for multi-year subscriptions. Learning Forward hosts several events open to members and non-members including 2-day learning institutes and an annual 5-day conference. The organization also publishes several journals and newsletters on relevant professional learning topics such as the role of principals in learning communities, instructional coaching, and student outcomes. Also, Learning Forward offers online courses, webinars, and hosts an online community which provides members with a forum for discussion and sharing resources. The organization also provides two facilitated courses: Academy and Learning School Alliance. Academy is a two and a half year train-the-trainer program focused on providing an individual with long term coaching and support in one identified area. Learning School Alliance is a year long team-based professional learning community. School teams receive professional learning training, customized professional learning plans based on their needs, access to a Learning School Alliance facilitator, and additional educational resources. Participating organizations are encouraged to collaborate with other schools’ teams to build a lasting network. The Learning Forward Foundation provides grants and scholarships for educators demonstrating alignment with the organization's values. Learning Forward is the only professional association devoted exclusively to supporting those who work in educator professional development. Members stay up to date on the latest knowledge and trends with our cutting edge publications, exclusive learning opportunities, discounts, and expanded learning networks. Click on the link below and this will open a new world of learning and professional development for you! 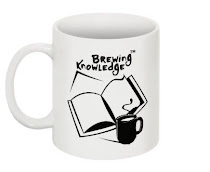 Please note the Brewing Knowledge platform is only an open source free social media network for professional learning communities in India, Learning Forward is the only Professional Learning Association that works for enhancing the capacity of educators in the world. Sandeep Dutt is the Managing Director of SchoolEducation.Com is the Founder of Learning Forward in India. You may email him on sd@ebd.in and visit www.LearningForward.in.